This badge was issued to Mohamed Roushdy on 09 Nov 2015. 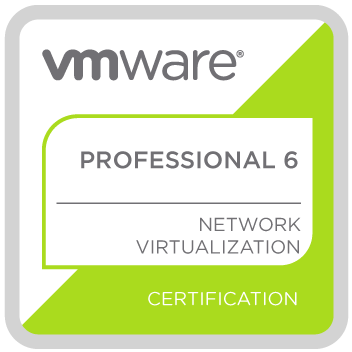 The VCP6-NV certification validates an earner's ability to install, configure, troubleshoot and manage a VMware NSX environment, as well as properly identify and differentiate any needed supporting products and components. Badge earners have a strong understanding of the relationship between physical and virtual network infrastructures.